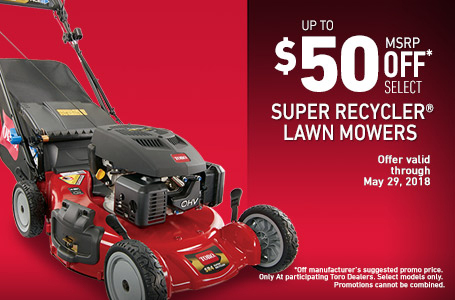 Now you can have your lawn tractor and your zero-turn mower too. 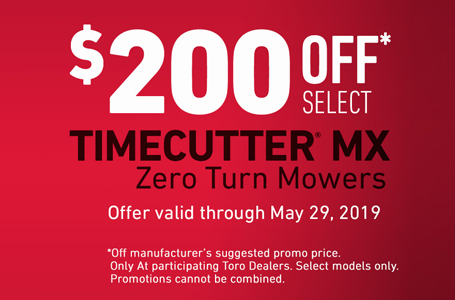 Toro's innovative TimeCutter® SW lawn tractors are the perfect blend of both. You get the controls and side hill stability of a lawn tractor with the maneuverability and time savings of a zero-turn lawn mower. 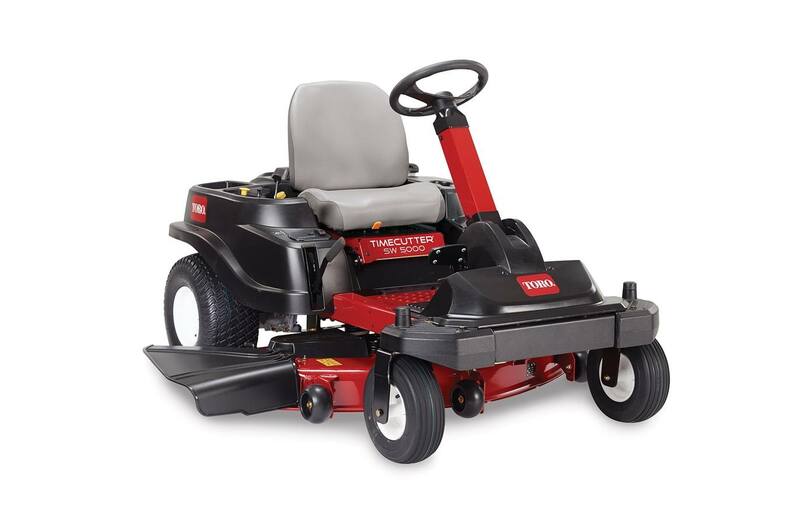 The TimeCutter® SW5000 50 inch 24.5 hp Toro Commercial V-Twin 708cc engine w/Self-Cleaning Air Filter Housing. This Zero-Turn Riding Mower has a 3--blade mowing system under a 4 inch deep, top discharge deck design with convenient washout port. The mower boasts 7 cutting positions between 1-1/2 in. and 4-1/2 in. in height. 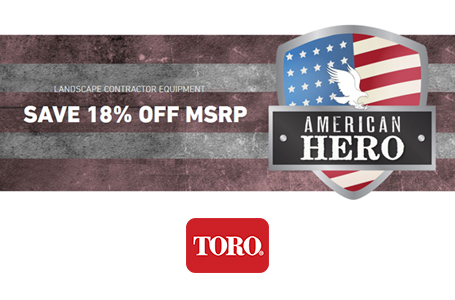 Toro Commercial V-Twin Engine: Toro® Commercial V-Twin engines were specifically created to deliver optimal performance in our mowers by matching the torque curve of the engines to the needs of the Toro decks they power. Intelligent design and tight tolerances help the governor respond faster with more power when you need it, so you're ready to handle your toughest outdoor tasks. Heavy-Duty Construction: Features thick, 10-gauge steel frames, heavy-duty engine guards and large caster forks for added durability. Heavy-duty cast iron and steel front axle provide years of dependable performance. Smart Park™ Braking System: Toro's unique braking system automatically stops the mower deck and sets the parking brake when you need to get off the mower while keeping the engine running. Key Choice™ Mowing System: Remove the key to prevent others from mowing in reverse for added piece of mind. Adjustable Steering Column: Steering column adjusts for maximum comfort for any operator. Brinly-Hardy Attachments: Standard hitch pulls a variety of premium Brinly-Hardy attachments, such as a cart, lawn sweeper, dethatcher, aerator and sprayer. 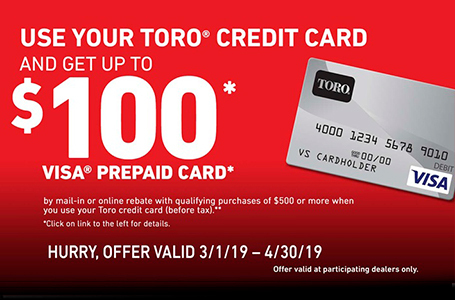 See your local Toro dealer for details. Recycler Kit: Cut more grass in less time and improve the health of your lawn. 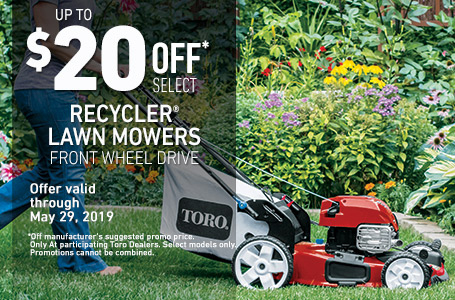 Toro's innovative Recycler® mulching system minces grass clippings into fine particles and puts them back into your lawn giving you a healthy, lush looking yard. *The gross horsepower of this engine was laboratory rated at 3,600 rpm by the engine manufacturer in accordance with SAE J1940 or SAE J2723. As configured to meet safety, emission and operating requirements, the actual horsepower on this class of mower will be significantly lower. We reserve the right to improve our products and make changes in the specifications, designs and standard equipment without notice and without incurring obligation.